A half-day workshop in a small group setting. Discover the real meaning of ‘emotional intelligence’. Gain new insights into emotional reactions and affect. Explore the impact of emotion on individual motivation, relationships and well-being, decision-making and workplace productivity. Take away some top tips for addressing mood and emotional literacy in coaching and counselling. A follow-up mentoring session (day and time by arrangement) is a bonus to support you in applying the learning to your individual practice. ‘An eye opening, enjoyable and stimulating session’, ‘Great description of a complex subject’, ‘Approachable and interactive’ facilitator style’. 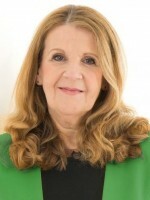 Judy James is a member of BACP Coaching Division, European Mentoring & Coaching Council and the International Centre for Excellence in Emotion Focused Therapy. She has studied the works of world-renowned thought leaders on Emotional Intelligence and neuropsychology: her Emotion Coaching approach is an effective pathway to positive lasting change.